Sound barriers or acoustic barriers are used to soundproof floors, ceilings, and walls. 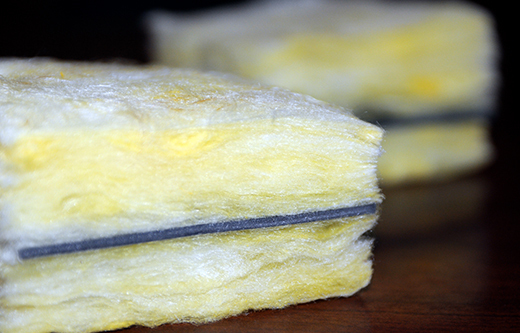 NetWell Noise Control offers a full line of sound barriers to meet your soundproofing needs. The acoustic barriers featured here are all designed to help block directional sound and generate a more user friendly environment. Note that the mix of noise barriers shown here does not include our line of sound control blankets, featured in their own section here on our website. Click here if you want to view our noise control blanket options. If you need help with any questions on any of these products, please call our help desk at 1-800-638-9355. With more than one million square feet of dB-Bloc shipped to project sights throughout America, this sound barrier membrane is our #1 selling product. 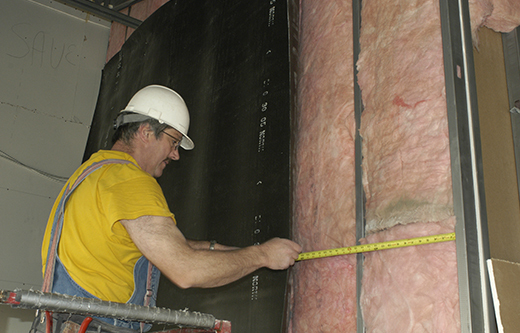 Clients near and far work to embed this membrane into their perimeter wall or ceiling assemblies to deaden sound bleed. For clients with noise bleeding through existing drop grid ceiling tile systems, these Ceiling Caps are the perfect sound barrier treatment. Simply rest these Caps above your ceiling tiles to place an acoustic “lid” over your room to prevent the noise bleed. For common floor/ceiling assembly systems with clients who have access to their subfloor (remodel/new build), the FloorFighter membrane is the ideal choice for combating common floor/ceiling assembly noise. 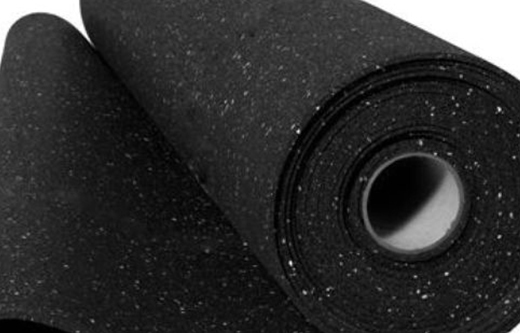 FloorFighter sound barriers freely float beneath your flooring and help deaden foot noise and other sources of noise. Simply roll the material out and place your flooring surface over it. To quote your project, use this form to submit the size and scope of your room, or call our help desk back at 1-800-638-9355.